The best layouts include enough breathing room between each table to provide ample space for guests and service staff to easily move throughout the venue. You’ll want to plan for at least 5’ from one table edge to the next - and you’ll want to plan for additional spacing between tables if you have guests in attendance in wheelchairs or with strollers so they don't struggle getting to and from their place at their assigned table. 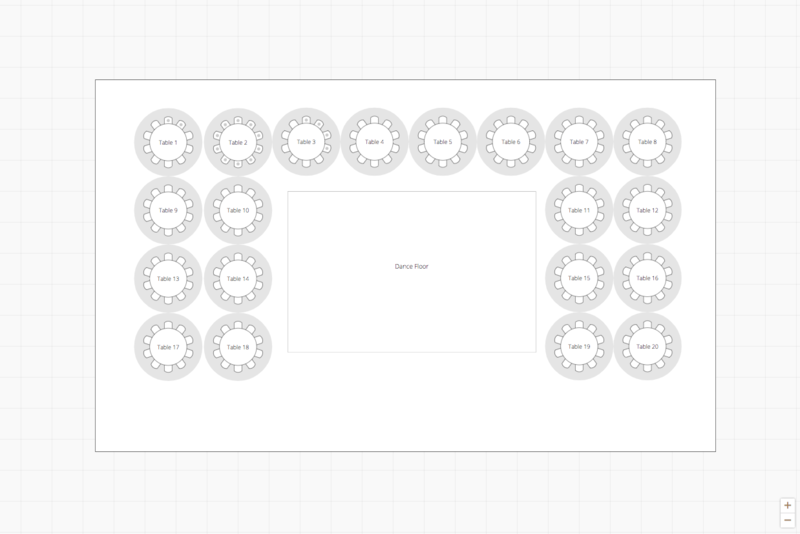 When you're designing your layouts in Aisle Planner's Layout Tool, we’ll automatically show a 2.5' service area around each guest table that you’re moving on your layout to help you place your tables with adequate spacing. 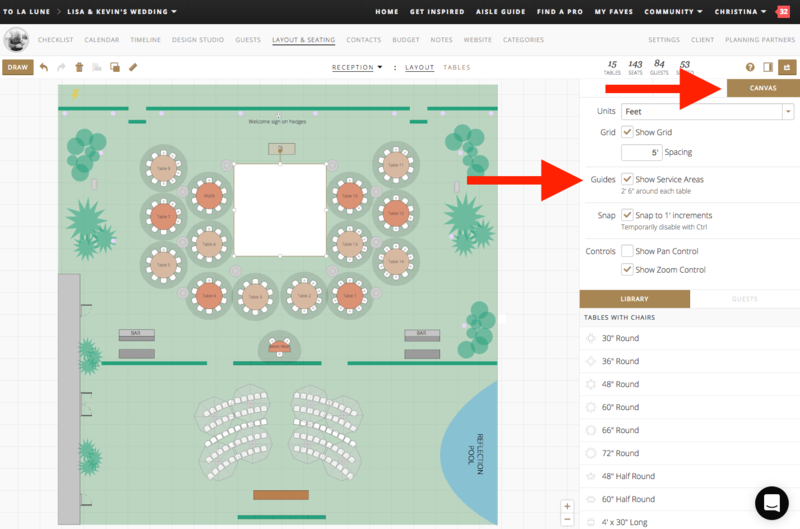 You can also adjust your settings to show (or hide) the service area around all guest tables. In the Guides section, add a checkmark next to the "Show Service Areas" option.